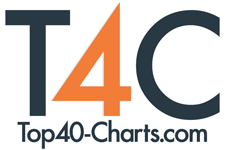 New York, NY (Top40 Charts) Black Sedan is a collective of musicians rallied by the journalist/author/publisher, Mark Hodkinson. The album, Adventure Lit Their Star, is furiously varied with no less than five vocalists and upwards of 30 contributing musicians. In its down tempo, cut-up moments it has been said to evoke Boards of Canada, The Avalanches, UNKLE, The Sound Defects, Tommy Guerrero or Christopher Goze but when it's upfront and at-you, it's as simple and direct as power pop maestros Nada Surf, Material Issue, Army Navy, Oh Sees or The Shout Out Louds. And, of course, there's always Hawkwind - Black Sedan cover Robert Calvert's The Right Stuff, and This Is Your Captain Speaking: Your Captain Is Alive is, near enough, a tribute to space rock's finest. The opening number is Love on Love featuring lengthy samples from Charlie Chaplin's famous speech in the film, The Great Dictator. ''I saw the film about 10 years ago and became obsessed with the power and prescience of the speech. Since then, I've tried numerous ways to make it work properly as a song. At one point I set it against David Bowie's Be My Wife but his management wanted a huge portion of the publishing, so I had to start all over again,'' he says.